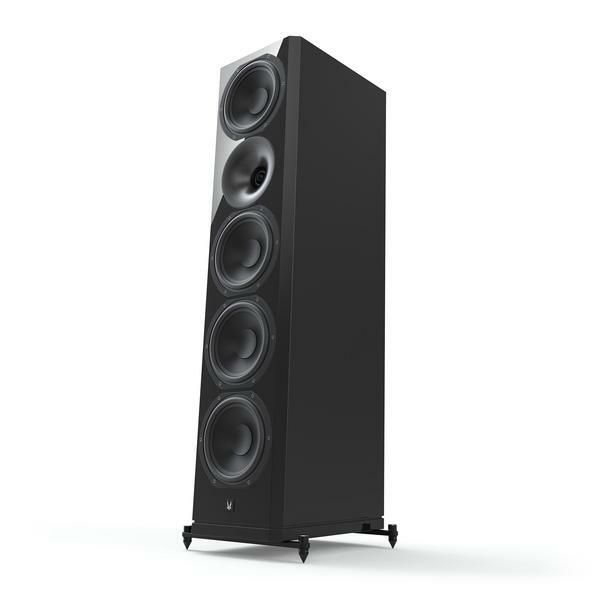 “The Arendal 1723 Towers from Norway are really full-grown floorstanders with a massive appearance and 50kg live weight. The manufacturer arranged four big woofers on the 50mm-thick baffle for a deep, dynamic sound. A waveguide tweeter with a 28mm soft dome is responsible for a crystal clear treble reproduction. Three bass-reflex openings on the back side of the speaker, combined with the supplied foam plugs, allow to tune the bass performance, which can ideally reach as low as 34Hz. The Arendal 1723 Towers stay cool with an effortless playback at any level. Still, they exhibit the required dynamics and bite for an attractive and thrilling presentation of the musical content. Classical and solo singers sound equally delightful and everything is portrayed in a tidy, balanced way. Original PDF can be downloaded here.